Photography, writing and podcasts create a different kind of exhibit that captures life in prison. Photography, writing and podcasts create a different kind of exhibit that captures life in prison. Back to the full article. 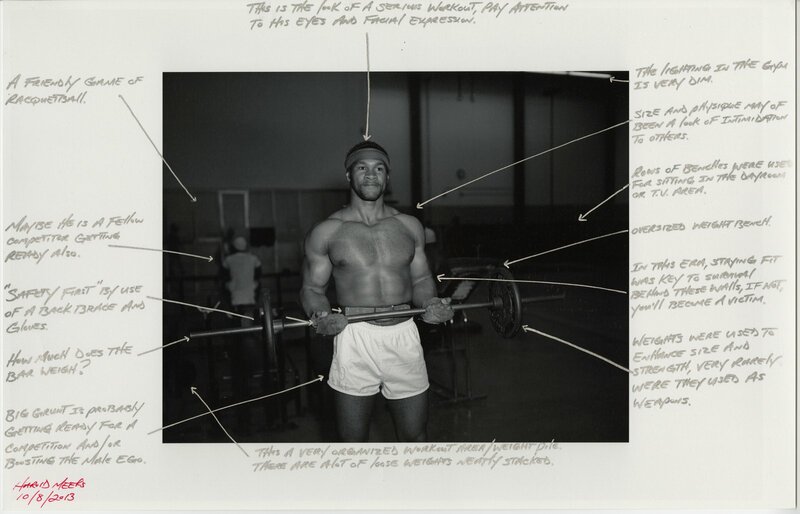 Harold Meeks and Nigel Poor, Gym Profile 7-15-75, 2013. Inkjet print and ink. Harold Meeks and Nigel Poor, Gym Profile 7-15-75, 2013. Inkjet print and ink. Courtesy Nigel Poor, with thanks to Warden Ron Davis and Lieutenant Sam Robinson.